Today, meet Panther and Suzie, the cats of author Laura Heffernan! He actually got me two. The local rescue had two cats who had bonded, and both were so shy, they were terrified of meeting people. They’d been at the rescue awhile, so they were offering a deal: two cats for the price of one. They were sweet but shy, and I wanted to give the poor things a forever home. Cat? Or a black sweater? Who can say? 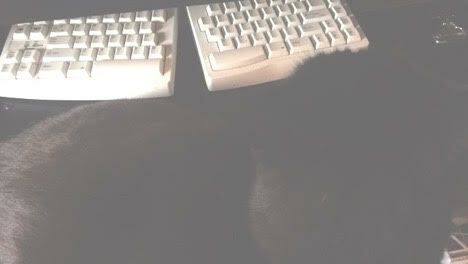 Sometimes, when I’m working, he’ll poke at me to ask why I’m not paying attention to him. Honestly, sometimes it’s a wonder I get any words on the page at all. He’s actually poking around at my feet as I’m typing this. Meanwhile, Suzie is super chill. Most of the time. Her favorite thing to do is stare at me creepily each morning from the first second I show signs of being awake until I feed her. She also likes to beg for belly rubs. And who could say no to this? 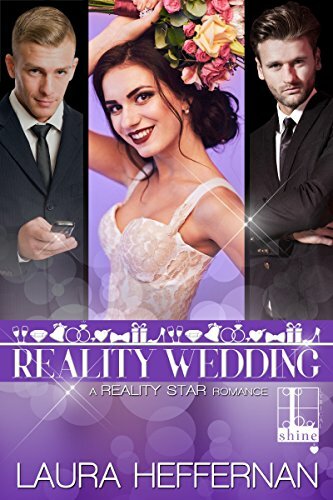 The Reality Star books, including Reality Wedding, are available on Amazon, Apple iTunes, BN, and other retailers.